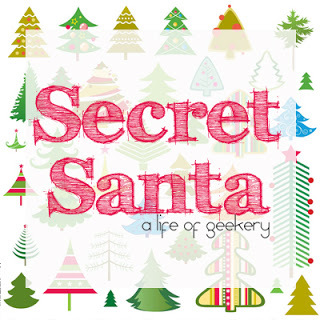 Bloggers 2013 Secret Santa is open for registration. Wahoo! Last year, 28 UK bloggers from all sorts of backgrounds took part in the secret gift swap and the feedback was amazing. We had beauty, fashion, food, lifestyle, craft, diy, interior design, art, film, mobile, technology, photography, PR, disability and parenthood bloggers take part – a pretty diverse bunch! The idea is that each person gets to know another blogger that they may not have already bumped in to in the online world and spreads a little Christmas cheer. They choose their Secret Santa a gift within the £15 budget and pop it in the post before 13th December to beat the Christmas rush. In return they’ll receive a gift chosen especially for them from another blogger. If you’d like to join in, just fill in this Google form before 21st November and you’ll receive your secret santa pairing the next day giving you three weeks to get shopping.I’ll be cutting registration off at 50 participants just because I think that’s enough presents and pairing for one person to keep track of. If you want to join in, be quick! Like last year, we’ll be using the hash tag #bloggersecretsanta to keep up the conversation. All done lovely. I love this idea. Yay! All registered! I missed out on taking part in a secret santa last year because I wasn’t working so I’m super excited to make up for it this year! 🙂 Thanks for organising, Vicki.